South Africa’s automotive manufacturing sector and the National Union of Metalworkers of South Africa (Numsa) have concluded their negotiations in Port Elizabeth for a new three-year wage agreement. The agreement will be in force until 2019. The detailed content of the agreement has not yet been made available. The previous three-year settlement, negotiated in 2013, was accompanied by a strike that lasted almost three weeks. 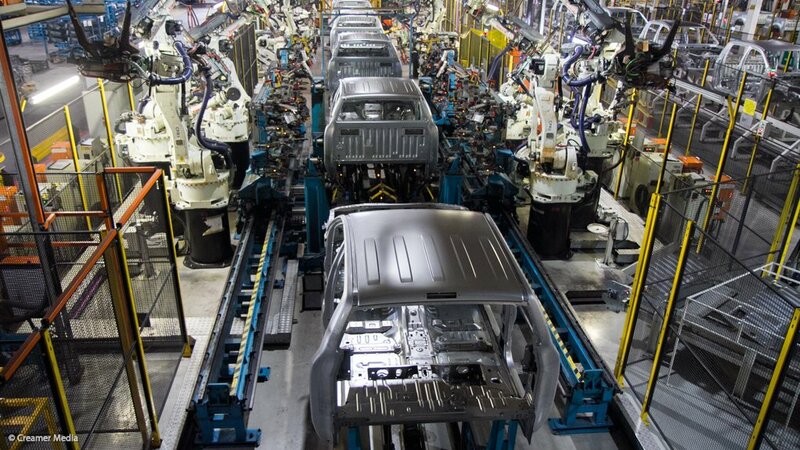 The Automotive Manufacturing Employers’ Organisation (Ameo) said on Friday that the new agreement held “the promise of a longer term and stable investment planning horizon for South Africa’s seven vehicle manufacturers”. It also offered “a further enhanced and competitive wage structure and benefits for the automotive industry’s hourly paid workers”. One of the main points of the agreement is the provision of increased access to housing for employees at the various manufacturing plants. Ameo said the new three-year agreement marked the first time since 2007 – and only the fifth time in the history of the sector’s collective bargaining process – that there would be no disruption or work stoppages flowing from wage negotiations. “The signing of our new agreement is testament to the value of proactive negotiations between Ameo and Numsa,” commented National Association of Automobile Manufacturers of South Africa (Naamsa) president and Nissan South Africa CEO Mike Whitfield on Friday. The main themes of the fact-finding mission to Australia were increased global competition and the impact of an unstable planning environment. Once a large vehicle manufacturer and exporter, Australia’s vehicle manufacturing industry has all but shut down. Ameo said this year’s negotiations were held amid “very trying times for the local automotive industry”. New-vehicle sales in South Africa have declined by around 10% since the start of the year and global export contracts remain exposed to a volatile rand and increasing competition from manufacturing hubs across Europe, the US, Asia and Africa. “The importance of the automotive manufacturing sector in South Africa cannot be overstated,” said Naamsa executive director Nico Vermeulen. “Apart from being the largest manufacturing sector in the country, the broader industry also contributes over 7.5% of the country’s gross domestic product and an estimated 3.4% of the national wage bill. “The new wage agreement gives us a platform on which we can plan further investment in the sector,” added Whitfield. Wage negotiations within the automotive retail and component manufacturing sectors have already started, said National Association of Automotive Component and Allied Manufacturers executive director Renai Moothilal this week. The 2013 strike on South Africa’s assembly lines was followed by labour action in the component sector, leading to a cumulative 34 days of strikes within the industry that year. * Ameo’s members are: BMW South Africa, Mercedes-Benz South Africa, Ford Motor Company of Southern Africa, General Motors South Africa, Nissan South Africa, Toyota South Africa Motors and Volkswagen Group South Africa.